Blue Moon Learning apps teach children, ages 2 to 10, using holiday themed graphics, beautiful animations, music, sound effects, and voice-overs. Our apps make learning and play one and the same! Put your old iPad, iPhone or iPod touch to the best possible use – donate it to a public or private school or to a recycling program so it can be put to work as a learning tool for kids. Steve Glinberg, developer of the popular iPhone and iPad apps Flying Numbers, KidCalc Math Fun, and 123 Color Talking Coloring Book, today announces the continuation of his recycling program for iPads, iPhones and iPod touches, which brings high technology mobile devices into classrooms. With last week’s release of the iPhone 6 and iPhone 6 Plus, the iPad mini, and also iPad Air, previous versions of these amazing devices going unused in homes and businesses everywhere. At the same time, US students are successfully using high technology mobile devices for learning in classrooms. Teachers are incorporating iPads, iPhones, and iPod touches into their curriculum at an increasing rate. However, schools are constrained by ever tightening budgets. Many of these powerful devices with the capacity to interest, captivate and teach children are ending up in drawers, or on shelves, where they sit hardly used after the owner upgrades a newer version. As a developer of education iPhone and iPad apps, I have been hearing from teachers and parents for two years now just how valuable a role iPhones, iPod touches and especially iPads are serving in classrooms. We need to get used iPads, iPhones and iPod touches into classrooms, where price is the barrier precluding their introduction into the curriculum. My recycling program needs your help to continue to accomplish that. Upon receiving used iPads, iPhones and iPod touches, I restore them to factory state, install dozens of apps currently in the App Store’s education category, and send them on to teachers who have registered to receive one. Non-working iOS devices are also welcome. I have established relationships with companies that provide repair services, who will replace defective parts to restore an iPhone, iPad, or iPod touch to a working state so it can be put to work for students. Sync cables and iOS device chargers are also in short supply, so if you have one you are willing to part with, please donated it so it can be put to use for students. Teachers please send an email to the email address below to register to be a recipient of an iPad, iPhone or iPod touch. Please indicate where you teach, the age of your students, their current exposure to and use of computing and mobile computing devices, and please briefly describe your need. Software developers with an app in the iTunes App Store’s Education category that you would like included on iOS devices bound for schools and summer school programs can send me an email at the address below. Please include the name of your app and a link to it in the App Store. Note that apps will be evaluated for their educational value on a case by case basis prior to being installed and may be deleted at the discretion of the teacher who receives the device. Donors, developers and teachers who participate in this program, who wish to be profiled on this website, please let me know. Parents and teachers, please leave a comment below if an iPod touch or iPhone has helped your students or children in a classroom setting to let others know just how valuable these devices can be to students. 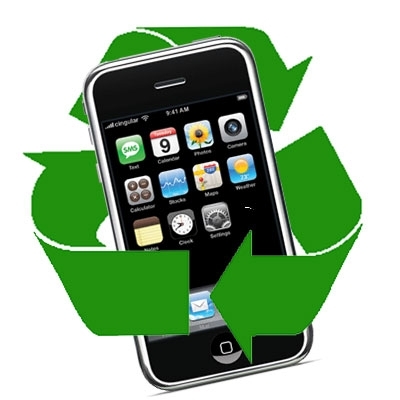 Help students at schools around the world by recycling your previous iPad, iPhone or iPod touch. Please email me at recycle@123ColorApp.com for further details. Thank you sincerely. A special thanks also goes to MacWorld, PadGadget.com, CNNMoney, and edu.Mac.nation for helping me get the word out about this program, and to iFixit.com for donating parts needed to repair non-working iOS devices that were donated. Announcing the release of Chester & Flop’s Flying Numbers Adventure for iPad and iPhone: a challenging and fun adventure game that teaches integers, decimals, and fractions to children ages 6-9 years old. Set in the context of a flowery meadow, children playing Chester & Flop’s Flying Numbers Adventure join Chester the butterfly and Flop the bunny on a trip to their garden. Along the way children are challenged to compare and sort integers, decimals, and fractions by tapping the screen to guide Chester and his number over or under oncoming numbers. After surmounting 10 numeric hurdles in each level, children reach the garden where they can feed Flop his favorite vegetables, direct Chester to the flowers, and interact with nature by sliding the clouds, setting the sun, drawing constellations in the night sky, and more. Flying Numbers is packed with learning and fun, including 36 levels designed by a team of both Montessori and also public school teachers for children ages 6-9 years old. Early levels start with Common Core Standards, while later levels provide greater challenge with exposure to fractions, decimals, and even negative numbers. 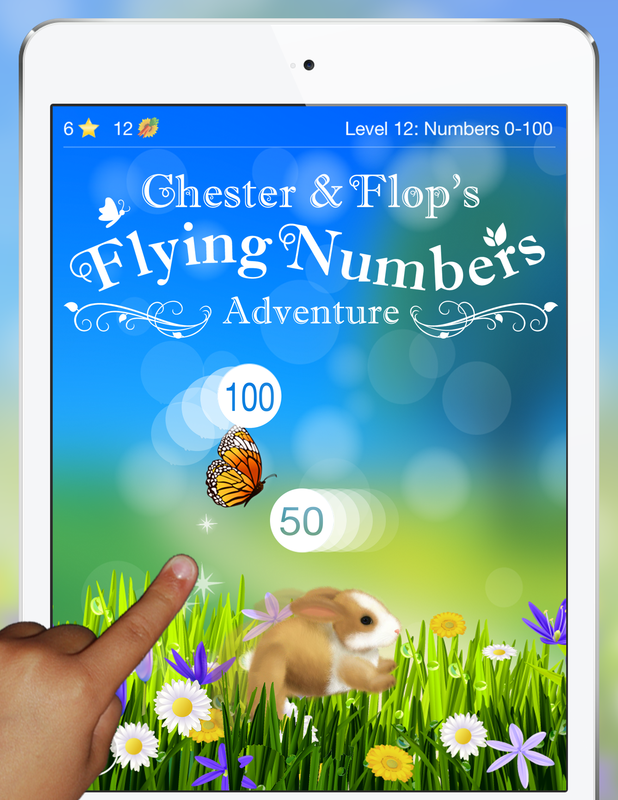 Chester & Flop’s Flying Numbers Adventure includes a horizontally scrolling number line ranging from negative 100 to 1000, and an interactive visualizer providing kids with a pictorial representation of each integer or fraction. Chester & Flop’s Flying Numbers Adventure perfectly balances entertainment with educational value, holding children’s attention as they learn. “There is so much we can do now, with this amazing technology that kids hold in their hands, to make learning and play one and the same, “ explains Steve Glinberg, Blue Moon Learning’s Founder and CEO. With its pristine graphics, memorable music, and enchanting characters, Chester & Flop’s Flying Numbers Adventure offers children a delightful and engaging way to expand and apply their knowledge of integers, fractions, and decimals. Also created by Blue Moon Learning, top ranked education apps 123 Color, 123 Glow, and KidCalc Math Fun have received critical acclaim from publications including The New York Times, iPhone Life Magazine, and Cult of Mac Magazine, and 57 placements on Apple’s lists of top apps. With more than 3 million downloads, Blue Moon Learning’s apps enable parents to feel great about the games their children want to play. With today’s release of the iPhone 6 and iPhone 6 Plus, the iPad mini, and also iPad Air, previous versions of these amazing devices going unused in homes and businesses everywhere. At the same time, children around the world are successfully using high technology mobile devices for learning in classrooms. Teachers are incorporating iPads, iPhones, and iPod touches into their curriculum at an increasing rate. However, schools are constrained by ever tightening budgets. Many of these powerful devices with the capacity to interest, captivate and teach children are ending up in drawers, or on shelves, where they sit hardly used after the owner upgrades a newer version. KidCalc Math Fun 1.10 Released – Adding Valentines Day Theme and Number Tracing! Created with the help of public and private school teachers, as well as parents homeschooling their children, KidCalc teaches crucial math skills to children ages 3-9 years old. KidCalc was the #1 ranked education app during October, and it just got better! Announcing the release of KidCalc Math Fun 1.10, the tenth update to the popular animated math flash cards and learning activities app for iPhone and iPod touch. 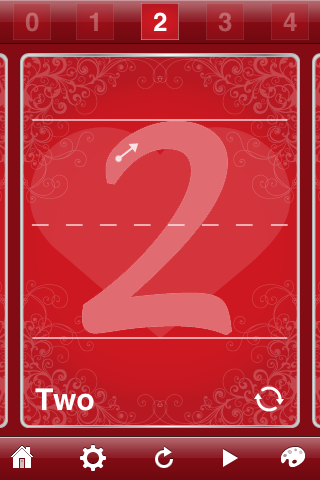 This new version of KidCalc Math Fun adds Valentines Day themed graphics and Number Tracing. Designed specifically to leverage the iPhone’s unique capabilities and touch interface, KidCalc is now six apps in one, including counting games and flash cards, animated math operation flash cards and drills, an animated calculator, and a new number tracing learning activity. KidCalc 1.10 is on sale now for $.99 (USD) and available worldwide exclusively through the App Store in the Education category. Reviewers, please email me (KidCalc [at] glinberg.com) about obtaining a review copy. 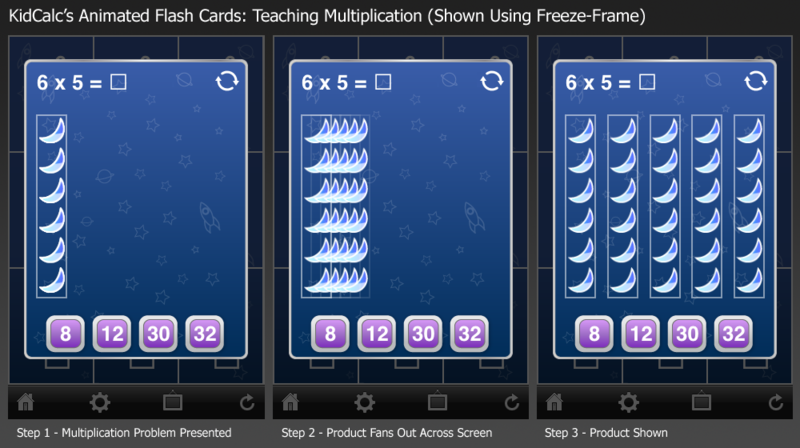 KidCalc 1.8 Released – Adds Animated Multiplication & Division Lessons! 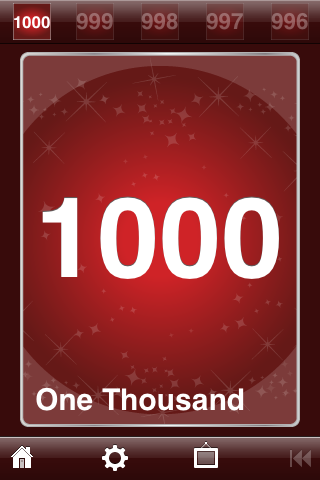 Voice Flash Cards Now Count and Speak Up To 1000! KidCalc 1.8 has been released adding popularly requested multiplication and division drills. However, that’s not all. Unlike similar apps that teach math, KidCalc includes animated multiplication and division lessons to visually illustrate and truly teach the process of multiplying and dividing quantities. 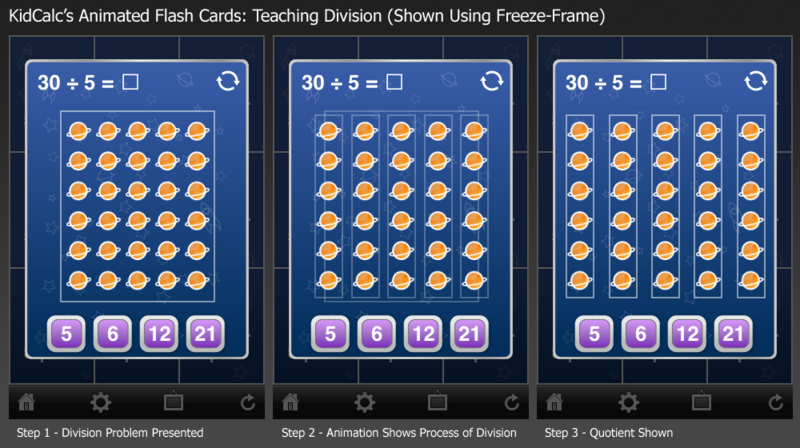 First I’ll give you the run-down of new features in KidCalc 1.8, and below that I’ll add freeze-frame screen shots of the animated multiplication and division lessons in KidCalc 1.8. Click the image to see a close-up. KidCalc 1.8 is on sale now for $.99 (USD) and available worldwide exclusively through the App Store in the Education category.